GREEN BAY, WI – Strawberry Fields Design, Inc., wins ADDY® Award for the University of Wisconsin – Green Bay Performing Arts Cabaret poster design. Strawberry Fields Design was honored with a Silver ADDY® in the Advertising for the Arts division. 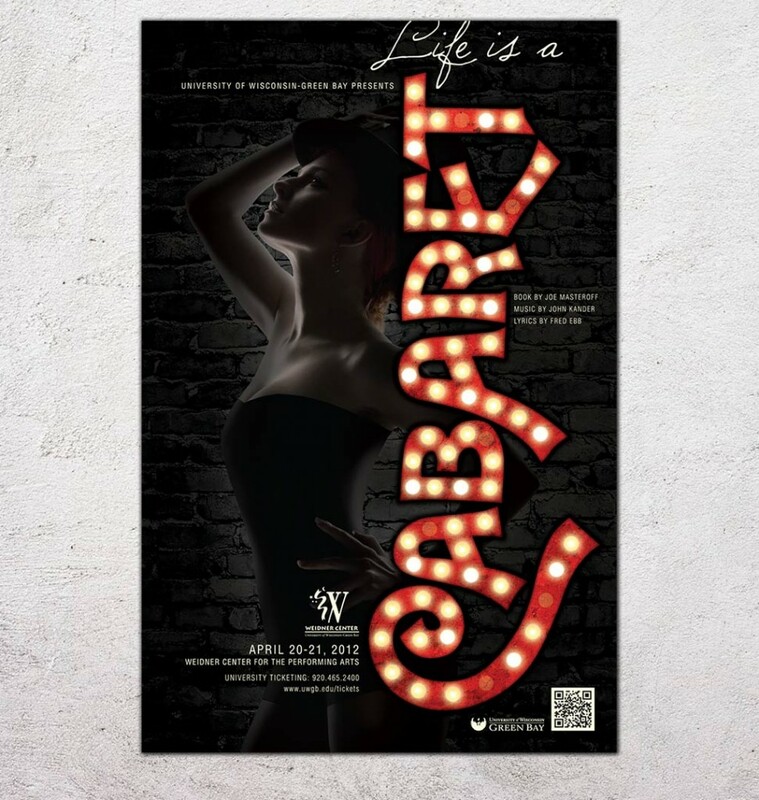 View the Cabaret Poster Design in our portfolio. The local ADDY® competition is sponsored by the AAF Fox River. Sorbo accepted her firm’s award at a ceremony April 28 at Lawrence University’s Warch Campus Center in downtown Appleton.